24 assorted little easter eggs. Measure 1" and come in a variety of colors. 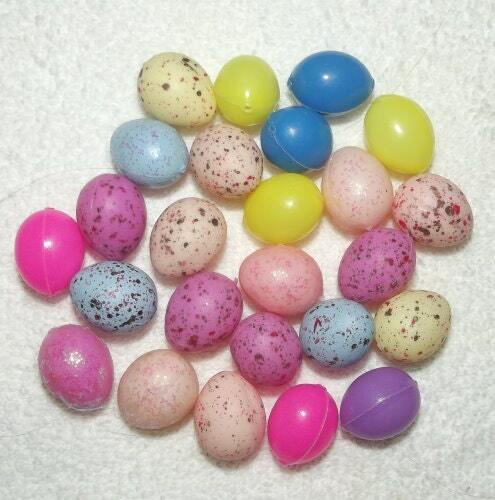 Some have little tiny robin's eggs dots, and some have glitter. Each have a small hole in one end. I have actually used a needle and strung them together. They can be attached to string, ribbon or just for easter table decoration. They are new and unused ready for all your scrap booking, wedding or craft projects. Having a good clean out of the craft room. Lots of fun little items will be listed soon. If you have any questions don't hesitate to email me.